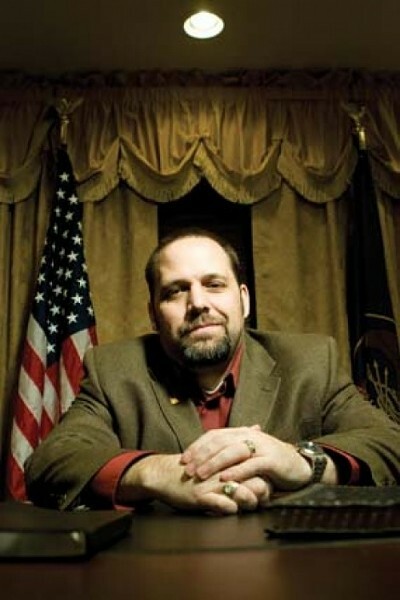 Rick the “Free Capitalist” Koerber is a controversial figure; fans praise the “ancient principles” of prosperity he espouses on his radio talk show and Website as a financial godsend. Critics, however, allege the smooth-talking businessman sells unsuspecting victims on empty promises, only to leave them buried in debt. Dennis and Marietta Baca, an elderly couple in Colorado, allege that by following Koerber’s investment program, they were bilked out of $170,000 and nearly lost their dream home to foreclosure. While their lawsuit against Koerber has been stymied by legal motions, Koerber does have a solution for them: They could sign up for his new “Real Estate Rescue Training” seminar. For a mere $995, the one-day class can teach people in desperate straits how to avoid foreclosure, he claims. Koerber is so confident of the class that he plans on using it himself—to duck the foreclosure hanging over a gated mansion in Alpine, where he currently lives and works. Koerber and his unique “equity milling” process, he says, has helped willing students learn how to live a “principled” and financially wealthy life. It has also made him the subject of an ongoing Utah Division of Securities fraud investigation, as Koerber has admitted himself. Koerber is not shy about his encounters with UDS investigators. The newest endeavor is a Real Estate Rescue Training seminar. “I will guarantee anyone who chooses to implement the plan I’ll demonstrate at the event that they can keep the home they are looking to save—or sell it successfully without foreclosure in less than 30 days,” writes Koerber in a Free Capitalist newsletter. Yet Koerber is unsure where the classes will be held, since his old office has been closed down. Koerber has held events at his office in the Alpine mansion, but holding the foreclosure-avoidance class there might be difficult if the home gets repossessed. According to a foreclosure sale ad from the July 19 Daily Herald, Koerber’s home will be auctioned off Aug. 13. Koerber says that, although he lives and works there, the home is owned by a former vice president of Koerber’s Franklin Squires Investments, Gabriel Joseph. Because the house is not in his name, Koerber believes the issue doesn’t affect his credibility in teaching a foreclosure-avoidance class. “I am optimistic it can be resolved without foreclosure for the same reasons and based upon the same approaches I’m teaching others,” he continues via e-mail. Koerber is confident from his five years of teaching real-estate investment, and he claims thousands of success stories from past students. Former student Joe Olivas, who works at a St. George insurance agency, is an avid supporter. “Overall, it was an amazing experience,” Olivas says of the yearlong Fundamentals of Wealth course he took. For $4,295, he completed an online curriculum with video lectures. He corresponded with Koerber by e-mail and went to four live workshops throughout the year. “The information I learned about our country, our founding fathers [has] helped me better understand how to improve my personal life and my community,” Olivas says. Meanwhile, the Bacas in Colorado, who allege Koerber’s program endangered their dream home going into foreclosure are still fighting a legal battle they hope will serve as a warning to others. “It’s been a rude awakening,” says Dennis Baca, who worries “there’s a lot of good people out there” who could get burned by Koerber’s program. The couple, former students of Koerber’s investment school, felt they were duped into investing $170,000 from their home’s equity, credit card advances and even Marietta Baca’s meager retirement savings from her 22 years working at an area Safeway grocery store into an elaborate Ponzi scheme.